During a recent interview on Sway In The Morning, Tech N9ne addressed his absence in Ice-T’s The Art Of Rap documentary, explaining that he felt he had something to say as the #1 independent rapper in the world. Ice-T’s acclaimed documentary was the West Coast legend’s way of giving back to the genre and culture that helped him build a successful career. 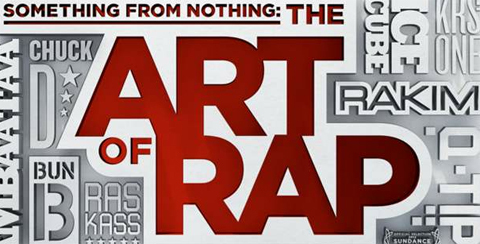 Featuring interviews and freestyles from the biggest names in hip hop, the documentary included the likes of Eminem, Kanye West, Rakim, Dr. Dre, Snoop Dogg, Immortal Technique, Chino XL, Ice Cube, and many more. Strange Music fans who caught the film though, may have taken note of Tech N9ne’s absence as the Kansas City King did not appear for an interview or freestyle. While there is an argument to be made for the many names that did not appear in the film, many fans feel as though the independent culture of hip hop was not represented by the obvious choice: Tech N9ne. Following Tech’s comments on not appearing in the documentary, we asked the Strange Music fans to weigh in with their opinion and let us know what they thought. Check out what the fans had to say below! What do you think? Should Tech N9ne have been tapped for the documentary?